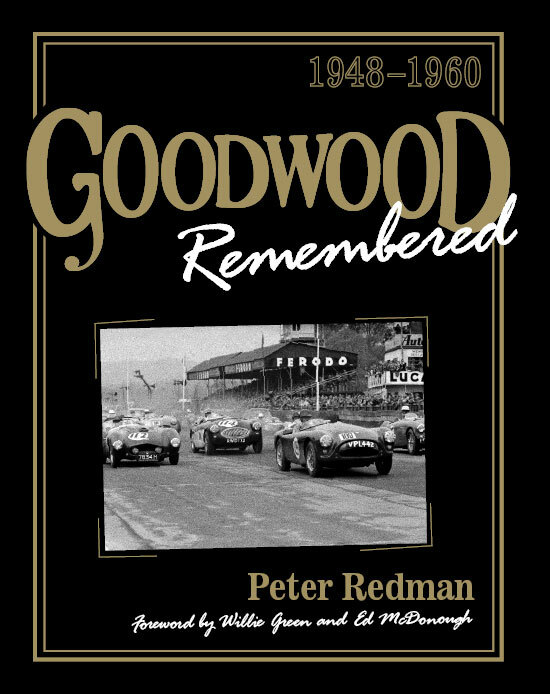 “It was a privilege to write the foreword to Peter Redman’s 2007 nostalgia masterpiece… Goodwood Remembered. 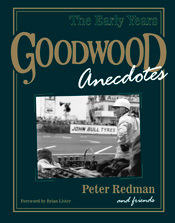 I am very pleased that he has done it again with Goodwood Anecdotes. There is nothing quite like first hand accounts of the ‘good old glory days’, and Peter has extracted and cajoled another superb collection of memories and photographs from a range of enthusiasts who were there on the spot at Goodwood in its famous ‘hey days’! As the Goodwood circuit, the Festival of Speed and the Revival go from strength to strength, the famous Sussex venue inspires more interest and fortunately more stories from its colourful history. Contributors include several racing drivers, an engine tuner, a team mechanic, a marshal and an officer of the law. Most of their tales, like the photographs accompanying them, have never previously been published. 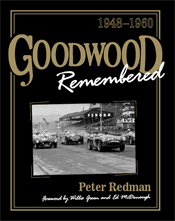 Goodwood Anecdotes and its earlier, companion book, Goodwood Remembered, will be of great interest to anyone who remembers those times and for the huge number who follow historic motor racing at events such as the Goodwood Revival or want to know more of the roots of modern motor sport. The book is full of interesting snippets. Bernie Ecclestone’s second place in a 500cc race, and World Champion Juan Manuel Fangio nursing an “off-song” Cooper-Bristol into sixth place in a Formula Libre race, are just two examples. It is a fascinating insight into the range of racing cars and drivers at Goodwood in that period: from World Champions such as Fangio, Farina and Hawthorn to handicap races for lady drivers.